What do you think of when you hear the word “dream?” Do you think of something that excites and motivates you, or a lofty idea or passion too far from reach? And what about the word “obstacle?” An opportunity to trust, or a momentum-halter? 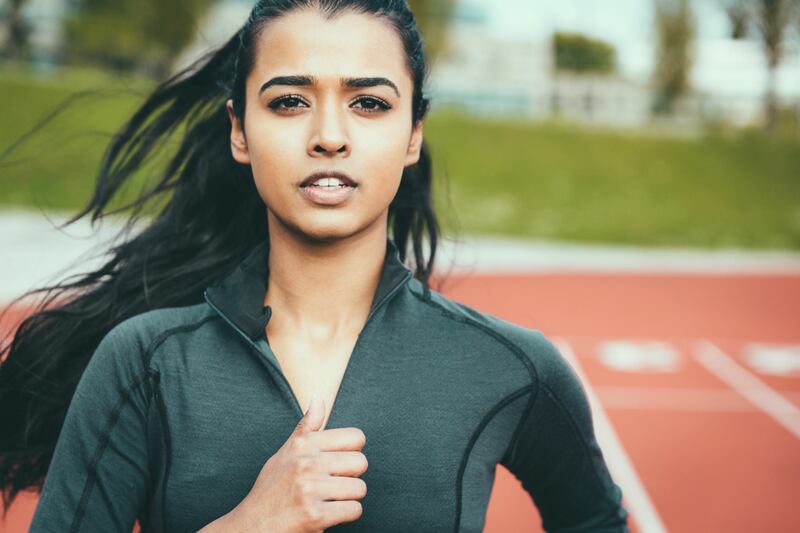 Sometimes, the way we live our lives comes down to the posture we take and the way we orient ourselves while working toward our dreams and facing up against obstacles. Jackelyn Viera Iloff, senior advisor and ordained minister at Joel Osteen Ministries/Lakewood Church, believes in the power of shifting our thoughts and actions from fear to faith. In her newly released book, “What If You Could?” Jackelyn Viera Iloff explores that very poignant idea: what if we could let go of our fear and begin to act out of faith instead—what could be birthed out of that kind of belief? Viera Iloff details in her book what faith is, how fear can get in faith’s way, just how powerful faith is and the ways God can transform us through faith. 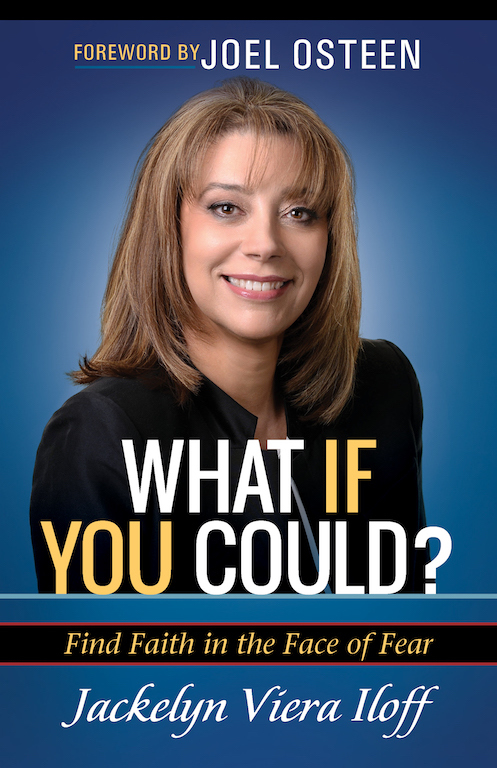 With the nature of this mutually exclusive relationship between faith and fear in mind, Viera Iloff details in “What If You Could?” what faith is, how fear can get in faith’s way, just how powerful faith is and the ways God can transform us through faith. For many of us, our conception of faith is still a bit shaky. We have a semblance of an idea about what it means to have faith in something, namely in the character and will of God, but maybe it’s actually acting upon our faith that poses the most difficulty. Maybe, when we have an opportunity or an obstacle laid out in front of us, we fear stepping out in a certain direction, because we’re afraid of choosing the wrong direction and having it negatively alter the course of our lives. But see, there’s that word: fear. And the other one: afraid. If fear and faith are mutually exclusive, and if we can truly take God at his Word that we are not created to live in fear, then we can go to God’s Word to reaffirm our faith when fear seems to creep up on us. And the beautiful thing is that we don’t have to worry about doing it wrong. When we declare our belief in God and enter into a relationship with Him, we enter into a loving relationship—a relationship in which fear need not be present because, underneath everything, we can have total reassurance that God loves us unconditionally. And God “wants [us] to walk in confidence” of that truth. So how do we move? How do we act in response to our faith? “What if You Could” explains that, in truth, faith can be looked at as a kind of knowledge: we can have faith in God because He is faithful to us. We can trust God because He is truly good and is never hiding from us. Faith, trust and action are all intertwined such that our actions in pursuit of a passion or in response to an obstacle always well up from the knowledge that God desires to lead us, God desires to see us fulfilled and that God is always available. God is never hiding from us. “If faith as small as a mustard seed can move mountains, it’s not because faith is a small thing, but because it’s complete in its power,” Jackelyn Viera Iloff reminds us. The beautiful thing is that, if we do not let fear stand in the way, we get to participate in the work He is doing in the world. If we take a moment to reflect on the past year, or the past couple of years, even in the midst of pain, it is impossible to not take notice of and remember ways in which God demonstrated Himself as mighty to save, redeem and provide. The beautiful thing is that, if we do not let fear stand in the way, we get to participate in the work He is doing in the world. There’s a purpose He’s placed inside of you that you’re fully equipped to do; you are “completely fulfilled in everything He could possibly package in you,” Jackelyn Viera Iloff beautifully sums up. So, what would you do if could? What will you do now that you know—with the power that comes from putting your faith and trust in God—you can? “What If You Could?” by Jackelyn Viera Iloff can be purchased here. What if you Could/graphics from Joel Osteen Media on Vimeo. Praying and remaining focused can be difficult. Looking to settle into a new prayer routine for the New Year? Here’s how to practice prayer and mindfulness.